I recently discussed technology integration with a former colleague of mine who is working on his school’s 1:1 planning team. On the same day, I read a great article by Dr. Kristen Swanson about the approach to technology integration in schools. After digesting both, I reexamined my role as a technology integration specialist and what it means. Here is what I came up with after both encounters. Technology integration has been happening in schools for years. Every episode, or phase the device or tool has changed. Some dramatic, some not so much. Regardless of the change, technology, in one form or another, has had a consistent place in our schools throughout time. The constant in this evolution is the teacher. The teacher has always been a key component in the learning process and he or she has adapted and incorporated technology as the time has passed. Some teachers have seen many phases come and go, but they have always adapted (at least I hope). From the advent of the chalkboard, to the integration of the iPad, technology has been provoking teachers to reexamine the way they deliver content and transfer information to their students. But, education has never been about technology or devices. It has always been about good teachers who deliver content or information to their students, adaptability, and a progressive mindset. While many fear the iPad or even Google, will take the place of a teacher, I’m certain that day will never come. The human element will always propel the educational system forward, but the medium by which we transfer this information will continue to evolve. And that is what we, as educators, must always embrace. Technology integration is the ability to highlight the intersection of technology and the content areas. In short, the classroom teacher, who is an expert in his or her field is still going to command that room with the intellect and array of ideas, but now, with a dynamic device in place. While some may argue that both the chalkboard and the iPad are simply tools, I’d like to contend that they both possess highly complex operation systems. In both regards, the teacher had to adapt and change with the technology. But this is a good thing. 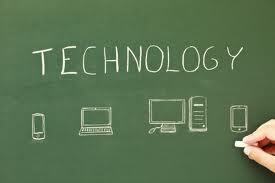 Technology integration, over time, has provoked teachers to be better and develop new skill sets in the classroom. Although many may see technology as another item on the “to do” list, it’s something that keeps us all on our toes and current in our profession. As I mentioned before, technology will never take the place of the teacher,however; it will continually challenge us to be better in a profession that should never dwell in a comfort zone. Teachers, above all, should be the epitome the constant learner and a consistent example for the students we teach. Tomorrow starts a new semester at BHS. I get the opportunity to meet new students and start fresh in both of my classes: Digital literacy (Web 2.0) and student technology integration (BHS Student help desk). I've revised each course to keep pace with the ever-changing content each course requires. Plus, I get bored quickly. And that's why I consistently reevaluate and rethink each course I teach. I imagine myself in the seat of the student. Would I want to sit through this? Is this appealing to me? In my time? Are the assessments challenging and purposeful? If I answer no, it's scrapped or reexamined. This simple exercise is healthy practice for all teachers to maintain relevancy in a ever-changing classroom. While I agree that some content remains consistent, the way in which we present and assesses will always have room for change. If we, as educators ever find ourselves comfortable, we're probably not teaching to the best of our ability. A comfort zone has no place in education. As we set out each year, each semester to challenge our students, we must find ways to challenge ourselves as experts in the field and content area in which we teach. To teach, we must always have the thirst to learn. And this is where my challenge lies to all who set foot inside a classroom. Step outside of your comfort zone and try something new. This endeavor may require you to work a little extra (even beyond what your beloved union contract requires) or seek out the help of someone who is younger and possibly intolerable, but just do it. Put on a face, and seek out the myriad of learning resources at your disposal daily in a school. Trust me, the benefits will not only be evident in your practice, but paramount in the lives and experiences of your students. Please share your experiences in the comments section below for all to see and learn. The Burlington High School Help Desk is about to embark on it’s fourth semester. Over the course of three semesters the “Student Technology Integration” Course - how it is phrased on transcripts and course selection catalogs, has gone through major changes since its incarnation. Each semester, the course has evolved from a basic “troubleshooting” focus, to creating tutorials, to connecting our student help with vast audience of educators and students. At least once a week I receive an email or phone call from another school about our course from all over the world. I’ve responded to each one and have hosted many questions during school visits along with my colleagues. More importantly, the students have responded and engaged with a variety of educators, administrators and professionals in education. In some instances, we used a Google Hangout to address a conference or an interview. The help desk students have worked at district professional development, the New England 1:1 Summit, The Google Apps for Education Summit, The MA Digital Publication Collaborative, after school workshops, and are on hand daily to assist with the technology needs of the entire district . 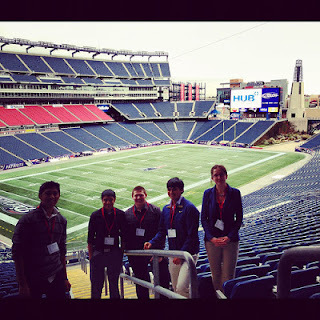 Plus, they’ve presented at MassCUE 2012, The New England 1:1 Summit, entertained and enlightened the MA Secretary of Education and the Commissioner of Education, consulted with app and game developers such as Kuato Studios International, appeared on NPR’s Here and Now program, and on June 1, 2013 they will organize, host and run their first EdCamp in Burlington. I’d say their resume fits into the authentic, purposeful assessment category. As our first semester of 2012 comes to an end, students will be presenting a TEDx-esque projects highlighting something they’ve learned and researched throughout the duration of the course. And once again, the course will launch with new students in 2013 and a new paradigm for learning. In all four iterations of this course, it has never looked the same. 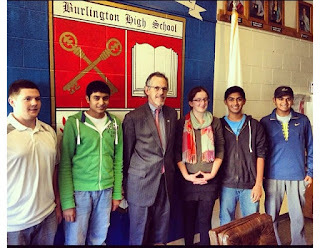 Each semester, my colleague, Tim Calvin and I, reassess the course model, methods for teaching and learning, and how we want our students to connect to the Burlington community and beyond. We take our own learning styles and the learning paradigms of the 21st century student and apply them directly to this course. In 2013, the help desk will take on several new projects. The first item to tackle will be to design, organize and run a full day EdCamp conference. This conference will be held on Saturday, June 1 and all in education are welcome to attend for free. Not only will the students be putting on an EdCamp, but they will be presenting a session as well. And, we invite other student groups to attend and present during this EdCamp. Students will have to solicit sponsorships, giveaways, and orchestrate the entire conference infrastructure for the day. To my knowledge, this EdCamp endeavour is the first of its kind. Plus, I had attende Educon for several years at the Science Leadership Academy in Philadelphia, PA and witnessed and experienced students taking the the lead in planning and organizing. My other inspiration sparked from attending EdCamp Boston last spring. I noticed how many teachers brought their students to present. As I sat in one of the sessions, I wondered what a great experience this would be if a group of students put on an EdCamp. And invited their peers to connect and share as well as anyone involved in the education world. I anticipate a lot of work for the students involved in planning, but I also foresee many authentic skill sets developing as students work through the logistics of planning a full day conference on their own. Also, the help desk will be developing weekly broadcasts via Google Hangouts. Every week, students from the help desk will put together a script for a show that they will broadcast live via a Google hangout. This hangout will also be archived for those who cannot attend. This medium allows students to design engaging tutorials around applications, devices, and current trends in educational technology while expanding the reach of our audience. Plus, this gives students an authentic audience for feedback and assessment. Finally, the help desk will be developing training modules for new and emerging tech applications in education for anyone who wants to use them. The students will be developing original, training modules that feature videos and step-by-step, printable scripts for our most frequently used devices and applications. Again, this resource is not simply limited to our school, but available for everyone to access. We’re taking the concept of Khan Academy and focusing it directly on applications that are used throughout the district. Students will be challenged to find and create modules based on the demand of each application within our community. Each module will start with the basics and the user will work his or her way towards more advanced concepts in the application. Students will be constructing scripts, outlines and interactive media to accompany each module. 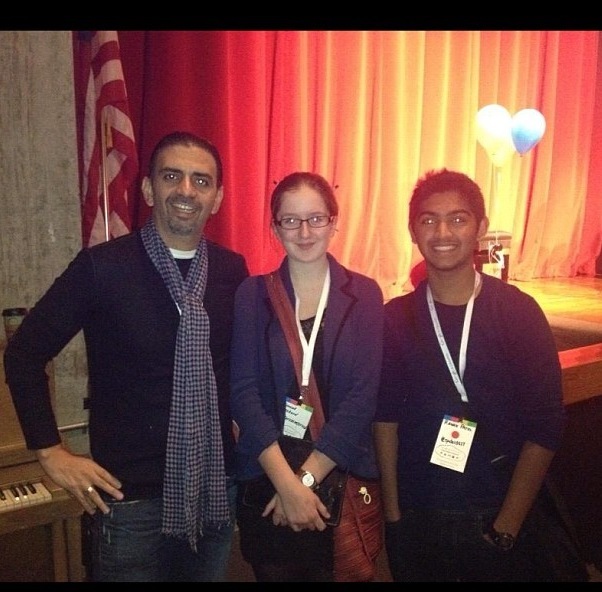 In the end, these students will be creating an open educational resource for our community and beyond. What’s more, these modules will bear the name of each student. They are adding to their digital portfolio, while creating a sustainable resource for the Burlington community. This course was designed to be malleable. Both myself and my colleague, Tim Calvin, are constantly looking for ways to rethink our classroom, both in aesthetics and in the learning dynamic. Most recently, Tim incorporated a stand up desk in our help desk room and we’re tinkering with some other ideas for next semester. I guess what I hope my fellow educators get from this piece is that we should always be rethinking, remixing our classrooms. The options I developed and listed above can easily be blended into any core subject. It’s simply a matter of challenging one’s self to step outside his or her comfort zone each quarter, semester, or school year to try something new at the simple risk of failing. And that's a big component in this course: failing. But, removing the stigma so that when we fail, we treat it not as a lost cause, rather a learning opportunity. An opportunity from which many can learn.